I have worn glasses for my most of my life. In high-school I wore contact lenses. The idea of laser eye surgery always scared me and confused me as a kid. I began to ponder what is the procedure behind laser eye surgery and what was the science behind the surgery. I wonder how effective is the surgery. Laser eye surgery is when a thin layer that is called the cornea is removed in order to perfect the shape of the cornea. The surgery is supposed to correct the vision to be 20/20. How could this be true? I pondered if there were results where it did not work out for patients that had laser eye surgery. The first source I read said that the first surgery “was first performed experimentally on a blind human eye in 1981 in the US and first performed on a sighted eye in 1986 in Germany. We therefore have over 25 years of clinical experience with PRK laser vision correction eye surgery.” (1)From the results of this the surgery was successful. There was another study done where the patients were followed up from 16 years later from when they had the surgery and it was found that the majority of the patients had 20/20 vision and could see better without glasses. It makes it seem like it does work but what about the side effects of the surgery? The most common side effects are temporary discomfort and flap complications. In a more recent source it says that “more than 40 percent of those who did not experience visual symptoms before the surgery reported experiencing one or more new visual symptoms, such as seeing glare or halos around objects.” (2)In other studies, it has been successful without having those side effects. What is laser eye surgery broken down by science? According to … it says that “LASIK is performed with an ultraviolet (UV) excimer laser. Excimer stands for excited dimer, an excited, unstable molecule of an “inert” gas and a halogen—argon and fluorine. This short-lived molecule dissociates promptly with the emission of a UV photon of a particular frequency.”(3) I have seen photos and videos on how the process is done and after researching online I have found that the side effects are deal able. I believe the surgery does work in doing its job to improve someone’s eyesight. The only negative thing could happen is the flap complications that can be fixed. (1) Wachler, MD Brian S. Boxer. 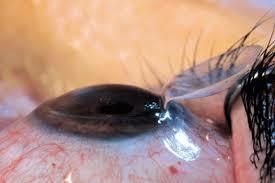 “LASIK Risks and Complications.” All About Vision. N.p., 22 Sept. 2016. Web. 01 Nov. 2016. (2) Blazsczack, Agata. “Many LASIK Surgery Patients Have Problems after Surgery.” Live Science. N.p., 23 Nov. 2016. Web. 26 Nov. 2016. (3) “Do You See What Eye See?” Physicscentral.com. N.p., n.d. Web. 26 Nov. 2016. (4) Healio.com. N.p., 16 July 2012. Web. 01 Nov. 2016. 1. Go to your profile and change lkr5215 to your name. 2. Use hyperlinks for your links. 3. Make separate paragraphs for different ideas. 4. If you didn’t already, make sure you e-mailed Andrew for permission to use those quotes. 5. Connect your blog post to what we’ve learned in class. Anyway, I think that you have to weigh the risks from the gains when considering Lasik surgery or any surgery in general. For example, I am a person that has worn glasses since second grade. I have absolutely terrible eyesight and can not get through 5 minutes of my day without having my glasses or contacts on. It’s difficult to go swimming (with glasses), to stay out late a night (with contacts), enjoy myself at amusement parks (with glasses), and make spontaneous plans (with contacts). With contacts, I always have to make sure I have contact fluid and a contact case. With glasses, I am limited in the activities I can participate in. Although a person with better eyesight may not be willing to take the same risk, I would definitely be willing to risk the possible side effects of Lasik surgery, regardless of price. This is especially because, according to https://www.ncbi.nlm.nih.gov/pubmed/19344821, 95.4% of Lasik patients were satisfied post-surgery. I’ve always been interested in LASIK and how it works for a long time. I first started wearing contacts in fourth grade and now, as a freshman in college, it’s really just another part of my life that I’m used to. However, I do consider how it would benefit my life if I were to no longer need contacts or glasses. I found this YouTube video going through someone’s experience with LASIK eye surgery. He even shows videos of his eye during the surgery, if you want to see a video of how it works!